PhoNetInfo retrieves detailed technical phone and network information such as firmware version, device name, battery status, power saving status, network operator, roaming status, wifi/wap interface names, camera details (e.g. ISO, white balance), number of CPUs, CPU frequency, CPU architecture, CPU features, CPU page size, garbage collector memory size, high performance timer frequency, time since last device reboot, RAM and ROM, Webbrowser User Agent, etc. All information can be exported by email and the application's language can be changed at any time. 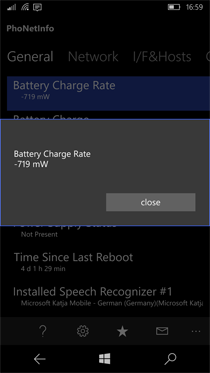 Battery information is shown periodically on the live tiles. 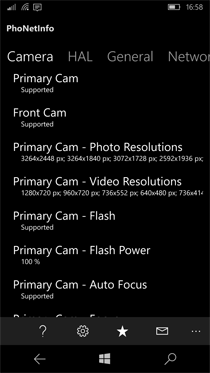 It is compatible with all Windows 10 Mobile and Windows Phone 8 / 8.1 devices, such as e.g. 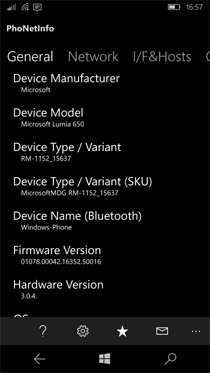 Microsoft Lumia and currently supports three languages (English, German and French). 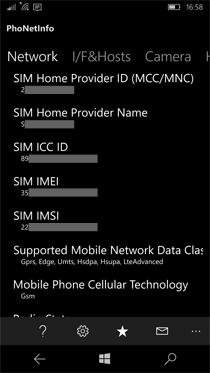 - "SIM Home Provider ID (MCC/MNC)"
- "SIM Home Provider Name"
PhoNetInfo has been updated to version 3.2.6.0; includes support fr "Microsoft Anniversary Edition", "Light Sensor" information, etc. PhoNetInfo has been updated to version 3.3.0.0. 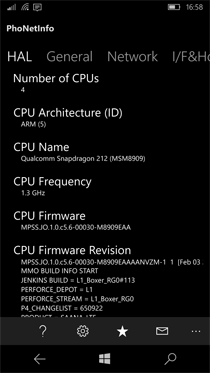 Includes improved device manufacturer and device model detection. PhoNetInfo version 3.3.1.0 has been released. 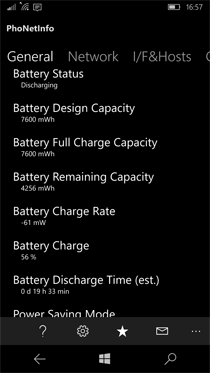 This update includes an improved readibility of the battery charge rate. PhoNetInfo version 3.3.2.0 has been released. Compatibility with Microsoft "Creators Update". New PhoNetInfo version 3.3.4.0 has been released. 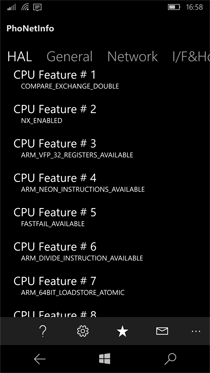 Added a lot of phone's memory information. 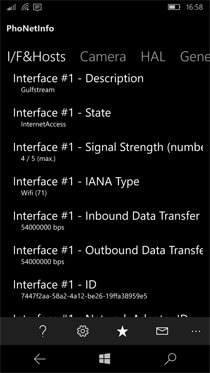 Added misc information about current mobile phone network and device status. 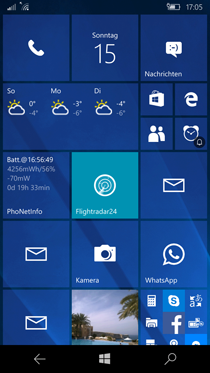 New PhoNetInfo version 4.4.0.0 has been released. Added a lot of new features since the last post! Now supports desktop PCs, too.